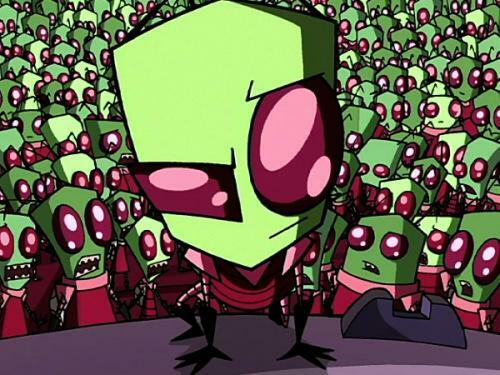 I wanted to post this on the offchance you've not seen it as Invader Zim is one of my favourite cartoons ever. It's been off the air for ages now and is constantly rumoured to be coming back but I wouldn't hold your breath. It was created by Jhonen Vasques and ran for three seasons starting way back in 2001 on Nickeleodon.